Graduation and Post-Graduation must be full time and regular. A Post Graduate in Applied Statistics/ Statistics/ Economics/ MBA (Finance) Preference shall be given to additional professional qualifications like FRM/ CFA/ CA/ ICWA. Degree in Law (3 years/ 5 years) Post Graduate degree in Law will be preferable. Desirable: High levels of skills in quantitative techniques and thorough knowledge of domestics and international financial markets. Preference will be given to candidates having a background in analytics, industry research and macroeconomic forecasting & analysis. 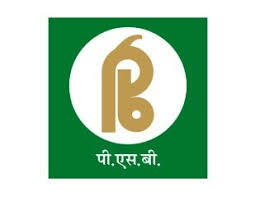 Eligible & Interested candidates can apply via online in Official website page at www.psbindia.com PSB Recruitment 2018. Take a print out of PSB Recruitment 2018 online application form.